UIIC Recruitment 2017 – Apply Online for 696 Assistant Posts:- United India Insurance Company Limited (UIIC) has released latest notification for filling up 696 posts of Assistant. Desirous & eligible candidates can apply online from 14/08/2017 to 28/08/2017. Age Limit: 18 to 28 years as on 30/06/2017.. Starting Date of Online Application :14/08/2017. Last Date of Online Application :28/08/2017. Download of Call Letters : 10 days prior to the date of each examination. Application Procedure: Eligible candidates may apply online through the website http://www.uiic.co.in from from 14/08/2017 to 28/08/2017. 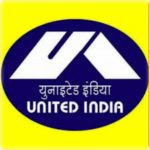 Subscribe our free job alert mail for UIIC Recruitment 2018.